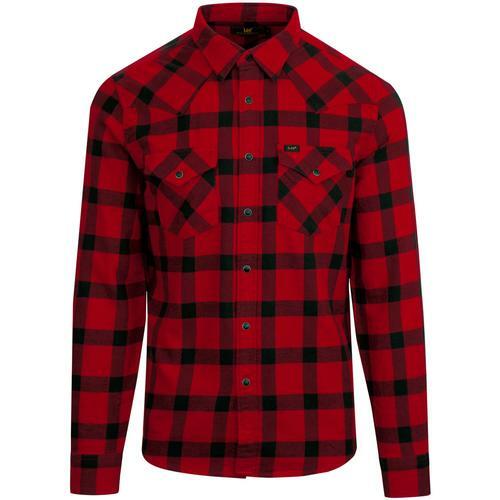 Lee Men's Retro herringbone check western shirt in tawny port. A soft brushed cotton handle and a subtle colour palette of navy and claret create a stylish shirt that is perfect for wearing buttoned up or layered over a tee for a cool Retro look. Featuring classic Mod point collar, Vintage style snap studs to the fastening and flap chest pockets. Finished with Lee woven tab sign off to the chest. 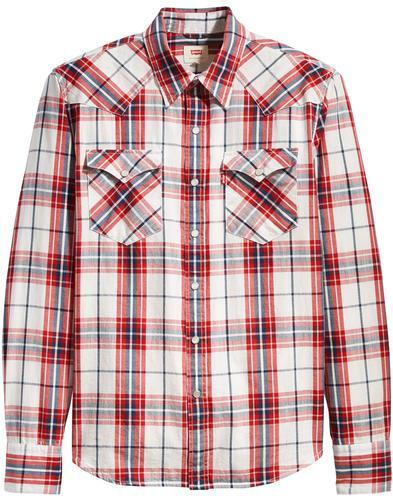 A sublime Men's Retro Western shirt with hints of 60s Mod herringbone details. 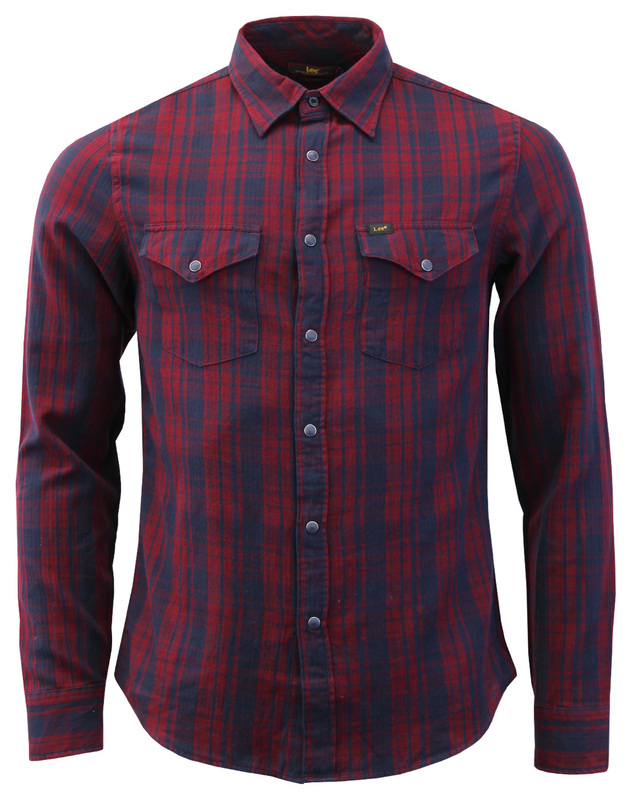 - Lee men's retro 60s herringbone check western shirt in tawny port. - Two flap snap fasten pockets to chest. - Lee woven tab sign off to chest. 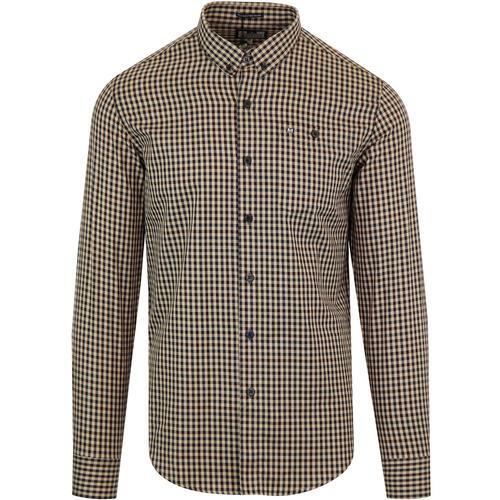 - Textured herringbone detail to the subtle check design. - Soft brushed cotton handle. - SKU: L644CUDE Western Shirt Tawny Port.